The 33rd annual National Girls & Women in Sports Day, which celebrates the achievements of girls and women in sports, is being observed by organizations across the country. National Girls & Women in Sports Day is presented by the Women’s Sports Foundation, which marked the occasion by visiting Capitol Hill for a series of meetings that focused on topics including the importance of Title IX, improving the experience of Team USA athletes and creating sports opportunities for girls and women. 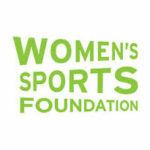 Key partners of the foundation including the National Women’s Law Center, George Washington University, Girls Inc. and the President’s Council of Sports, Fitness and Nutrition will also promote the day through grassroots events. Across the country, hundreds of local events are being hosted by sports educators, coaches, athletic departments, recreation centers, students and parents. Professional sports leagues are also taking action. Major League Baseball has appointed Natasha Watley as its youth softball ambassador. Watley, an Olympic gold medalist and former national champion with the UCLA Bruins, will appear at the MLB Youth Academy in Compton, California, on February 9 to join MLB in recognizing National Girls & Women in Sports Day. The free event will include a youth-oriented “Play Ball” event in the morning followed by a two-hour baseball and softball clinic led by Watley, Sahvanna Jaquish of the USA Softball Women’s National Team and Tamara Holmes, former member of the USA Baseball Women’s National Team. Participants of National Girls & Women in Sports Day are encouraged to use the hashtags #NGWSD and #LeadHerForward on social media.